ASHTABULA – Tim and Evangela (Angie) Moore were tired of driving hours away to find quality musical entertainment in a secure environment. Eventually, the couple found a solution. They opened Nave’ Lounge and Entertainment at 2321 West Ave. The name comes from Evangela’s first four letters of her first name backward, with an accent mark, pronounced nah-vay. “It was created because me and my wife would go out of town to see a band. We wanted a place conducive to us,” Tim Moore said. The first step was to change the atmosphere from previous establishments. “Those were like nuisances. We try to distance ourselves from that. A place where people can have a good time,” he said. While he has had the night spot since December, it had its big opening on St. Patrick’s Day. The live entertainment takes a back seat in the summer because of all of the bands at various festivals and wineries, but he’s bringing those back starting Sept. 8 with Travis Moonchild Haddix, Sept. 22 with Never E Nough, Oct. 5 and 6 will feature the Prince tribute band Prince Project, Oct. 20 will see Carlos Jones Plus Band and Nov. 9, Old Skool. The couple learned the building was available last fall. “I was in to liquidation. Furniture. Going out of business sales,” he said. The lounge is divided into a bar with pool tables and a second room with seating that can be quickly rearranged for various events with a stage. Nave’ features disc jockeys as well as bands emphasizing country, hip hop, rock, blues and Motown. In June two large swimming pools were filled for a foam party. The venue even includes VIP sections. It is open for graduation open houses and birthday parties. Hours are 4 p.m. to 2:30 a.m. Wednesdays through Saturdays. It also includes an outdoor patio. There are specialty and signature drinks. “We have good quality entertainment in a good environment with security,” Moore said. 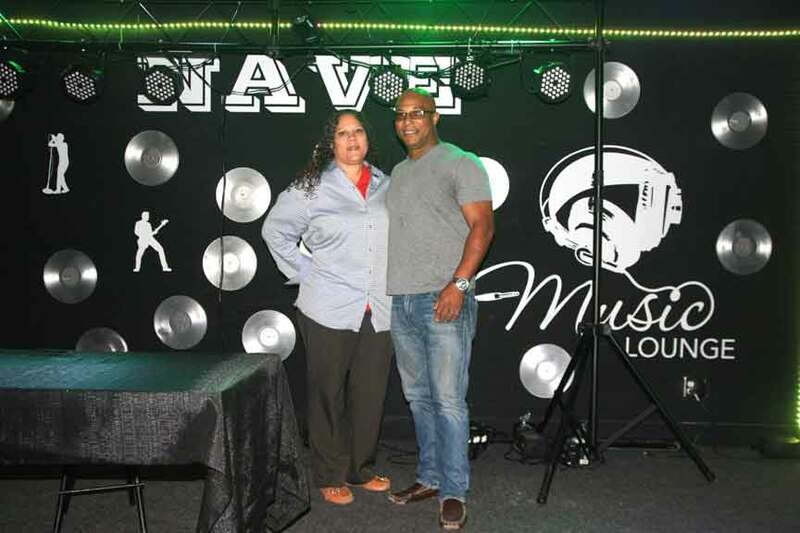 Tim and Evangela Moore opened Nave’ Lounge and Entertainment at 2321 West Ave., Ashtabula.